Love Raaga? 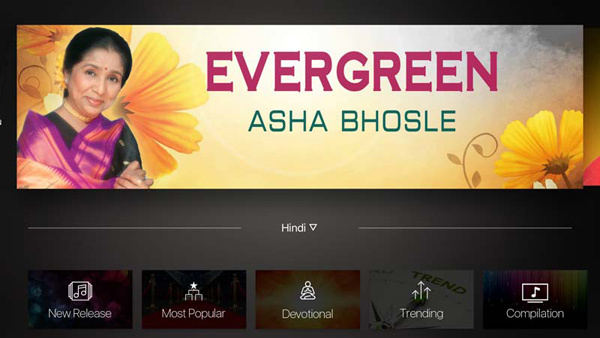 Get the BIGGER experience in the comfort of your living room now on Apple TV! Too many genres you love and so little time to hunt for them? Raaga is just what you need! 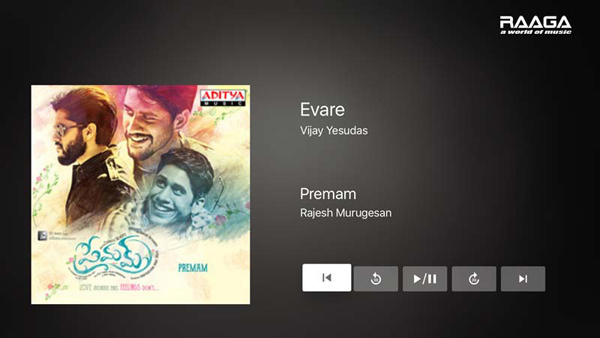 Search for your favourite tunes from different albums, artists and movie soundtracks from different eras in over 10 different Indian languages. Create playlists, listen to the 24-hour radio, add friends, share music, discover different compilations for different moods, playlists for festivities and more! 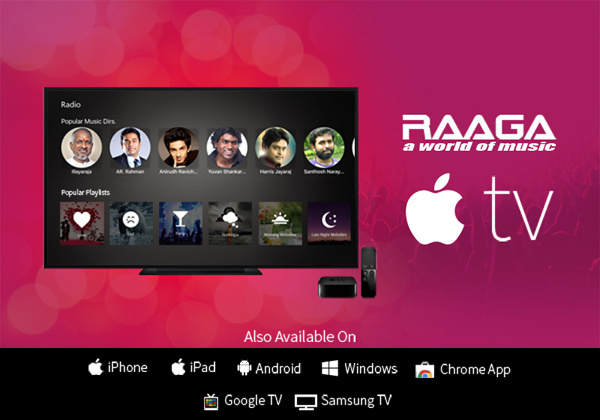 Raaga is available on all major devices platforms including iOS, Android, Windows 10, Windows Phone, Samsung TV and more. 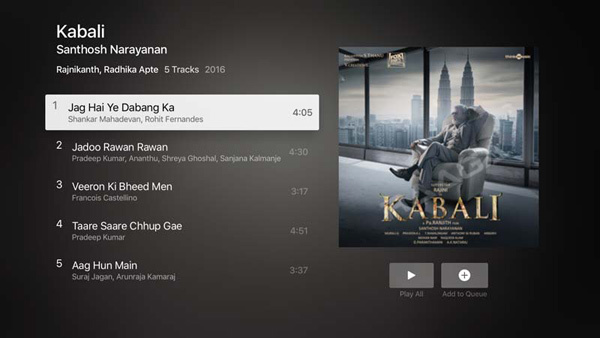 Raaga brought you music on the go with its mobile app and now brings it to your living room for an enhanced musical escapade with its Apple TV app! To install, visit the AppStore on your Apple TV device. The one stop solution for any avid music lover. So what are you waiting for? Grab your remote and plunge into a world of music NOW! Download the App for Android - iPhone - Windows Phone - Windows 10 NOW !